Saxophonist Stephen Fischer maintains an active schedule as a soloist, chamber musician, and teacher. Dr. Fischer is the applied saxophone instructor in the Department of Music at Georgia College in Milledgeville, Georgia, and has also served on the faculties of Clemson University, The University of Georgia, and the University of West Georgia. 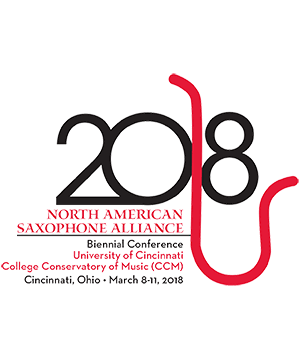 As a performer, Dr. Fischer is an active member of the North American Saxophone Alliance, and has been invited to perform at the organization's national and regional conferences in Arizona, Arkansas, Florida, Georgia, Illinois, Iowa, Louisiana, North Carolina, South Carolina, and Texas. He has also performed as a soloist and chamber musician at meetings of the World Saxophone Congress in Minneapolis, Minnesota (2003), Ljubljana, Slovenia (2006), St. Andrews, Scotland (2012), and most recently in Strasbourg, France (2015). Stephen Fischer received the Doctor of Musical Arts degree in saxophone performance from the University of Georgia, studying with Dr. Kenneth Fischer. Stephen Fischer Alto Saxophone Saxophonist Stephen Fischer maintains an active schedule as a soloist, chamber musician, and teache . . .
Rachael Fischer violin Violinist Rachael Fischer maintains an active schedule as a soloist, chamber musician, and educator. . . .
Greg Hankins Piano undefined . . .